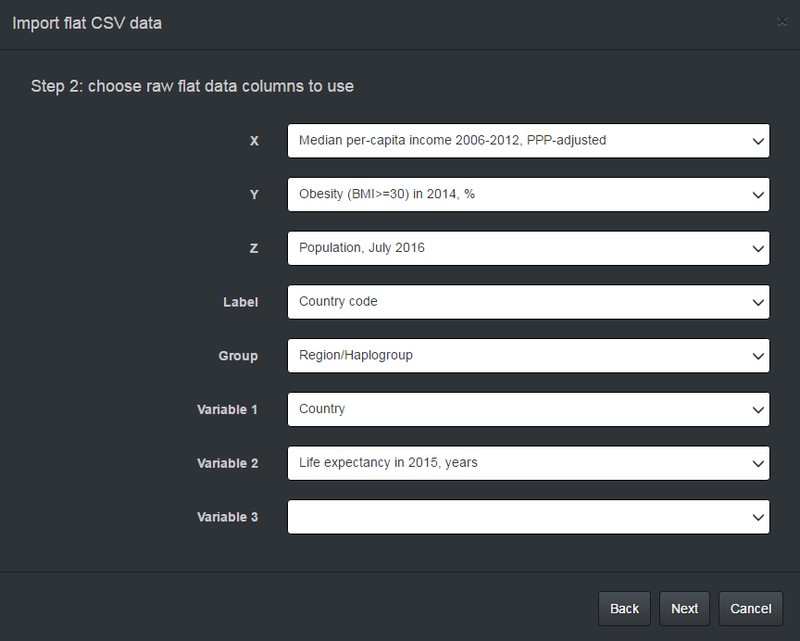 In the chart editor, I played with the new panel that allows to choose regression method and turn on and off group-by-group regression. 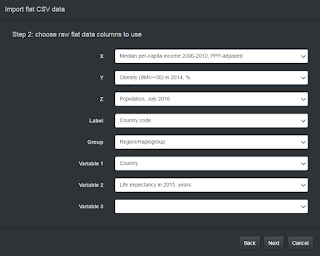 Finding correlation between incomes and obesity levels without grouping countries by region does is too challenging, so I decided to focus on running regressions in a few clusters of countries instead. I used prevailing haplogroup data for grouping, so do not be surprised when you see Jamaica and Barbados in the African cluster, and Mongolia in the Europid cluster. You will not see Oceania in this spreadsheet because of the lack of both income and haplogroup data. And you will not see Switzerland here because Gallup did not publish income survey results for it. The pattern is clear: obesity level grows with median income up to the point when higher taxes kick in and drive obesity level down. This is NOT a scientific research, of course. But the chart works well to demonstrate the regression feature.